The Curve Sonic is an amazing speaker with titanium driver styling and optimized sound characteristics, at a price that truly astounds for any need. 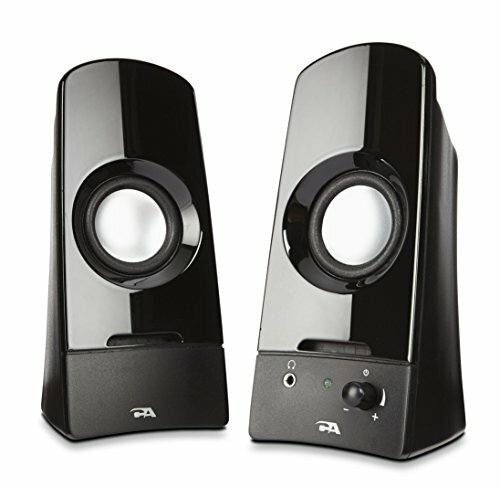 Computer speakers designed for use with Macs, PCs, laptops, tablets and other audio sources. Your best choice in desktop speakers, with an optimized listening experience for music, movies, gaming and all audio! Quick access to Power and Volume control on the right speaker! Keep your audio private when needed by easily plugging in to the headphone output jack!